It started as a conversation in a coffee shop. 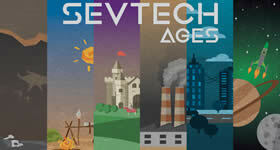 “I love Sky Adventures” he said, “but I have all this EMC and nothing to do with it” he continued. 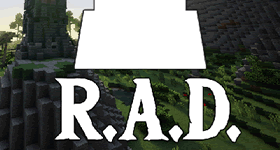 What was originally intended to be an expansion to FTB Sky Adventures has now evolved into a brand new modpack from the FTB Team. 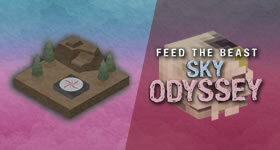 Sky Odyssey introduces a unique take on the Sky Block genre. With several new custom mods, you can now generate power and EMC to levels never seen before to aid you in the opening a portal to Dimension X. Project EX – Helping to generated extreme amounts of EMC. Botanic Bonsai – Feed your Bonsai pots with mana to increase growth rate. 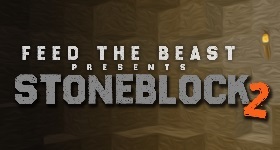 FTB Guides – Updated to include many new quest and reward types. 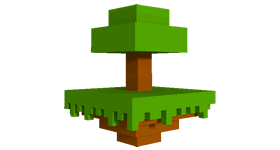 FTB Money – A brand new in game virtual currency allows you to easily keep track of your money. 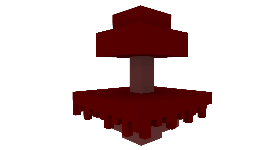 This pack also includes an expanded version of the shop first introduced in FTB Sky Adventures. To go alongside this, you can use the Beast Coin Miner to turn your excess power into Beast Coins and a brand-new custom machine from Modular Machinery which can help you to generate previously unimaginable amounts of power. 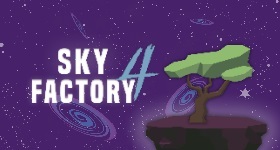 FTB Sky Odyssey is designed to be played either as a fast speed run style map or a casual relaxed experienced with friends. Start a free trial of Sky Odyssey right now for 24 hours. 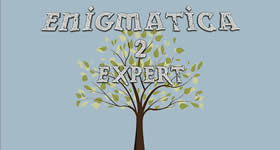 To create a new island, create a new team. To join an island, join an existing team. If you are having problems with Sky Odyssey contact support.